Ballantine Communications Inc. is a privately held, U. S. based company with over 60 years of experience in the news and entertainment media products and services industry. 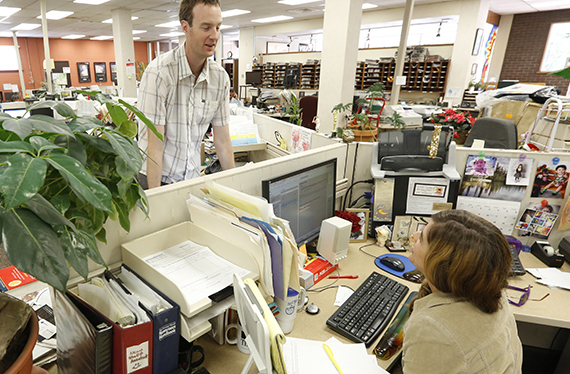 The organization operates across print, video, and digital platforms and employs approximately 200 employees that work at The Durango Herald, Directory Plus, BCI Media Services, 4 Corners TV, Cortez Journal, Mancos Times, Pine River Times, 4 Corners Expos, and other businesses within the organization. As an organization with a long legacy and a highly sophisticated model, Ballantine Communications imparts innovation into every area of the organization, develops a diversified product that meets a wide demographic and advertising base, and continues to be a forerunner in digital media advancement.